The process of writing and understanding how songs are written is usually a mystery to most people. While many songs are written from pure emotion and experimentation, others are crafted with specific ideas in mind. 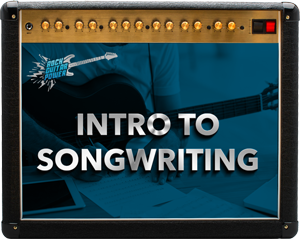 Regardless of how they get written, there are very simple and basic guidelines in music theory that will help you understand how songs are created and what makes certain chords work and sound good together. These videos are meant to show you the principles and techniques that are used to write some of the most popular and catchy tunes around! Having an understanding of these principles will also make it much easier for you to figure out songs by ear.